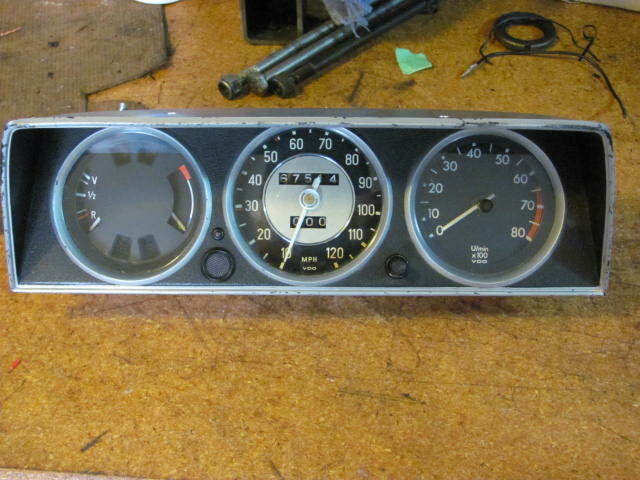 1 instrument cluster with mix and match gauges. 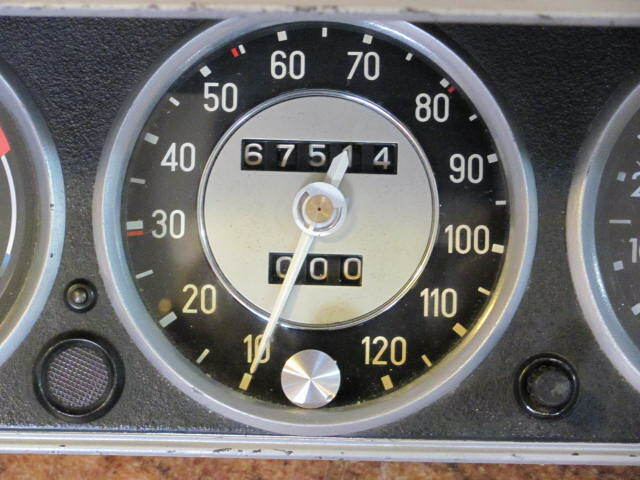 Silver dollar speedo with post '74 fuel/temp and tach. 1 additional silver dollar tach. Notes: When the temp/fuel gauge was installed, the fuel gauge was jumpy/erratic, temp gauge fine. I assume that it was the ground but switched to a silver dollar gauge and never sorted it out. 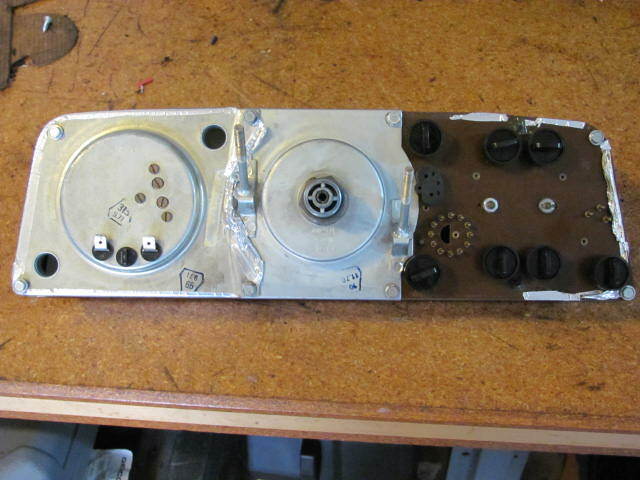 Also, light bulb and holder missing from tach. Note that tach lense cover is originally from a clock as it has the reset knob. Lastly, in the picture you'll notice that the speedo is missing the center cover on the needle. It's showing in the lower part of the speedo. It comes along with it. I'll sell the entire 3 gauge cluster as is for $75 plus shipping. I am also happy to sell individual gauges if I can get rid of all three. $30 each for the speedo and tach, $25 for the jumpy fuel/temp gauge. $10 for the housing. Lastly, I have a separate silver dollar tach. I've never used it. Only defect is minor pin prick sized rust spots on face of silver dollar portion plus (looks "dirty" from a distance plus minor color difference where cleaning was attempted. $25 plus shipping. Satisfaction guaranteed. 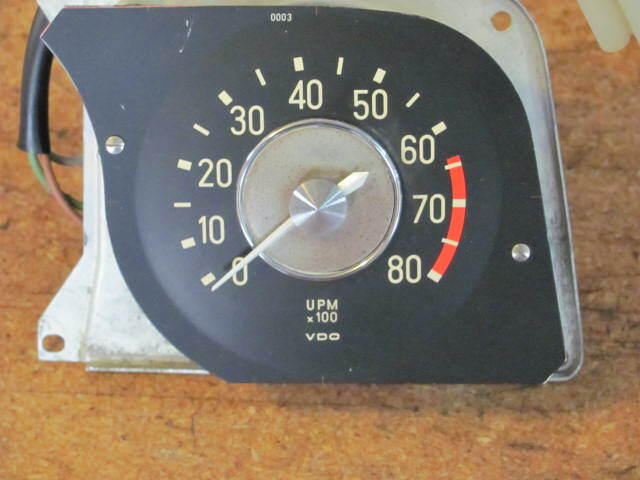 If these gauges don't work or if you feel that I have misrepresented their condition, I will refund the payment.